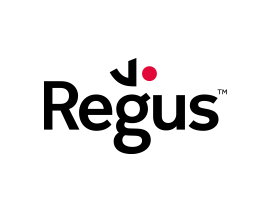 With over 3,000 locations in over 100 countries, Regus is the world’s leading provider of serviced offices and shared workspaces. 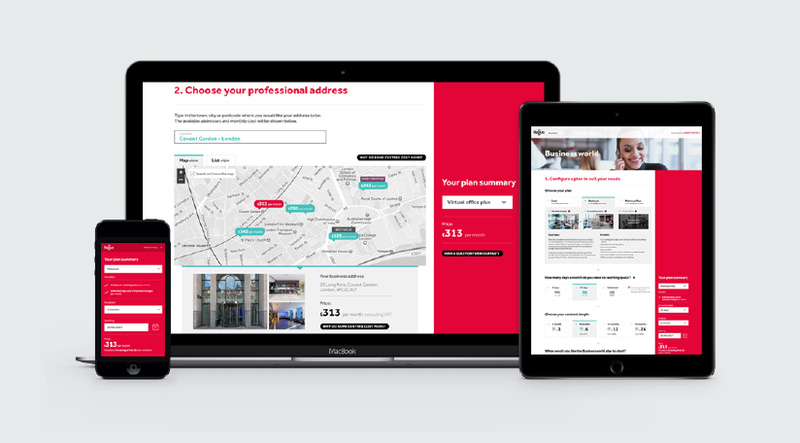 With the shared workspace sector booming, it was time to overhaul their digital presence. Our role is to lead the design and UX of a long-term, tranformation programme to improve the digital experience and ecommerce across their digital estate. The first challenge was to bring ecommerce to the site. The products can be complex and vary across territories. The design uses a simple one-page purchase design pattern to provide a seamless experience, educating the user about the product options as they progress. 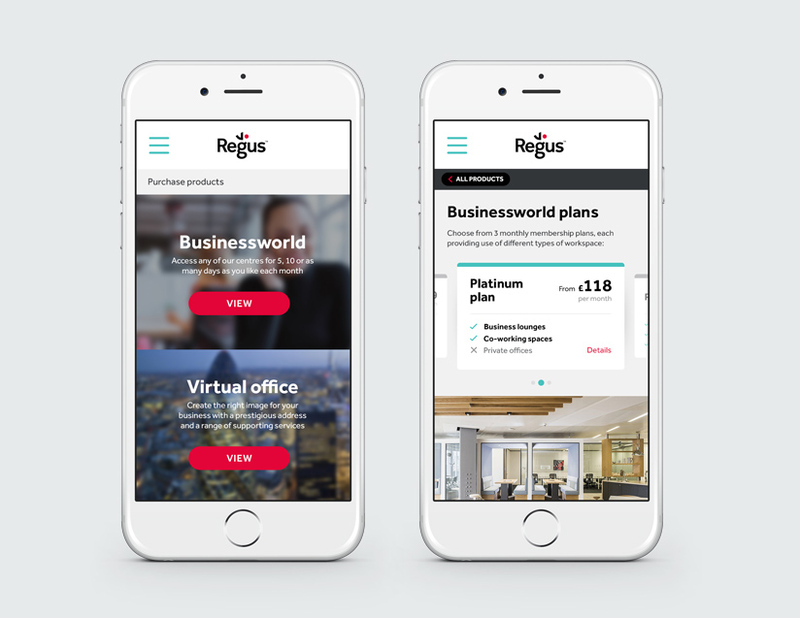 We brought ecommerce to the app, creating a new interface and experience that brings the app nicely in line with the Regus brand and provides more coherence with the web experience. Watch the video walkthrough further down the page. 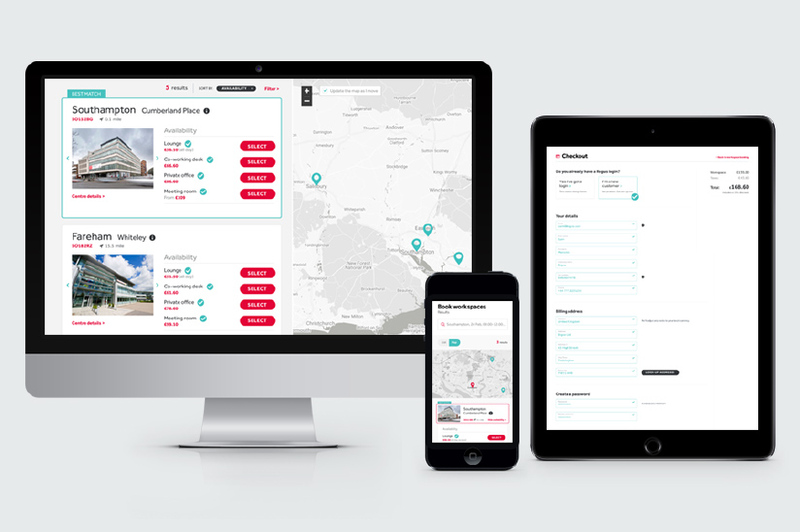 An improved online booking system for existing customers, bringing an Airbnb style experience for business buyers. Or just find out more about what we do? Fill out the form and we’ll get right back to you. We'll be back to you really soon. Be a Warrior. Not a worrier. We can't seem to submit your details at the moment.